Welcome to my tutorial assembly project. With this guide I would like to share my experiences regarding how to build your own computer. I will include parts in this process that I find important and interesting. 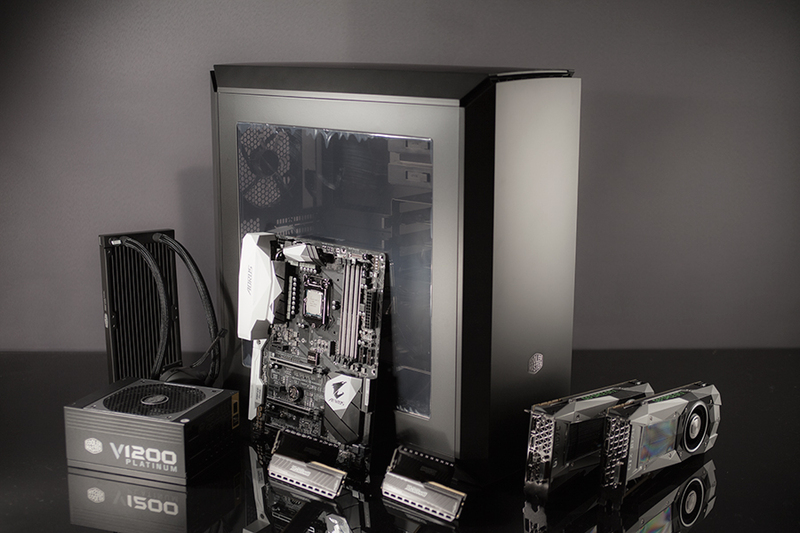 This project will also serve as an introduction and overview to Cooler Master’s all new MaterCase Pro 6. My ambition when assembling this computer will be to keep it simple and clean, and it’s definitely going to be a lot of fun! Great thanks to my sponsors Cooler Master, Nvidia, Gigabyte and Crucial. Without your support this could not have been done. As this tutorial project does not include selection of hardware, my first task will be to make sure all parts have arrived and are ready to go. For this, I choose to specify all my parts in a list. When completed, this list will be an excellent verification to be used in upcoming PC builds for an easy way to know that you got everything you need. Due to the fact that the right hardware for your need will be based on budget and avaliable parts at the moment, I suggest asking your shop or your fellow entusiasts to get best bang for the buck. This picture contains the parts I need to begin this build. Fans and SSD will come in later as they’re not needed at the moment. I will present the hardware more closely at next to better show what’s going inside this case.